The Running Librarian: Why it is all about collaboration! 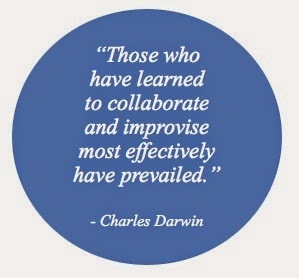 Why it is all about collaboration! There have been numerous and I mean really quite a lot of articles published recently on the CMS wire website about Collaboration. This is of course a very important topic, especially if you're involved in the management of an intranet or digital workplace and is a subject I have written about a number of times on this blog. So if you missed any of the CMS wire articles, I've provided a summary and link to the most interesting of these below. A good place to start if you are looking at Collaboration for the first time are two articles which provide some advice on how to find the right collaboration tool for your organisation. These articles are "How to navigate the collaboration sea" and "Finding your right collaboration fit"
Once you have deployed your collaboration tool then the next step might be to think about you manage your collaboration efforts. It might sound odd to say this, but collaboration does need to be managed to some extent. This is the topic that us discussed in "Tame your Collaborative Chaos" hopefully this article will help organisations avoid "Collaboration chaos"
Whilst I think we all agree that collaboration is good and can produce some very positive outcomes, it does has some implications for other business applications, most notably intranets. The impact of collaboration on these tools is discussed in "Collaboration in the new age of intranets" On the flip-side of these some technologies are changing how we collaborate. 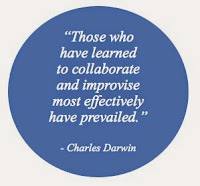 This is the topic discussed in "Mobile is changing your social collaboration apps"
A blog post about collaboration wouldn't be complete without mentioning SharePoint, fortunately there are many articles published on a regular basis about SharePoint and how it encourages collaboration. Of these the article "The evolution of SharePoint online collaboration" is a good introduction to the current state of collaboration within SharePoint. So lots of articles here for anyone who is looking for a good introduction to this topic. I'm sure there will be many more articles on this topic written in the future. This entry was posted on Tuesday, 26 May 2015 at 22:52 and is filed under Collaboration, Enterprise Collaboration, Intranet, Intranets. You can follow any responses to this entry through the RSS 2.0. You can leave a response. Is history repeating itself in your organisation? Can you really be social at work?